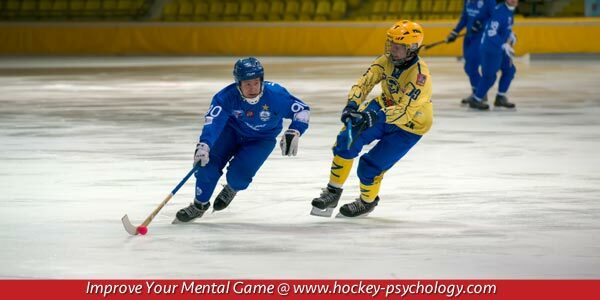 You are here: Home / Hockey Psychology Articles / Hockey Confidence / Do You Have the Look of a Confident Hockey Player? Do You Have the Look of a Confident Hockey Player? Would you characterize yourself as a confident hockey player? Are you able to execute players well even when playing in big games? Can your teammates rely on your play when the game is on the line? “Playing your game” requires that you believe in your abilities and have the confidence to perform under pressure. Confidence is an important ingredient for success in any sport but, in a fast-paced sport like hockey, you need a high level of confidence to play your best. 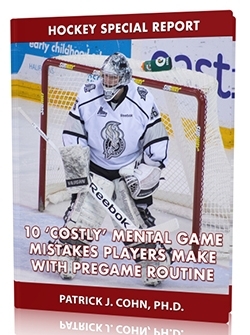 Hockey players must rely on their instincts, reflexes and quick decision-making. Low confidence causes you to second-guess yourself. I’m sure you can recall times when you lacked confidence and were tentative on the ice leading to forced passes, slow reflexes, or hesitating going for a loose puck. Frederik Andersen, 24, is a rookie goaltender for the Anaheim Ducks. Andersen plays with the poise and confidence of a seasoned veteran compiling a record of 20-5, a 2.29 GAA and a .923 save percentage during the regular season. Andersen earned the start for Game 1 against the Dallas Stars in the Western Conference quarterfinal. How did Andersen respond to the pressure of starting in his first NHL playoff game? Andersen’s confident play, stopping 32 shots, helped lead the Ducks to a 4-3 victory over the Stars. Andersen came up big in the closing minutes making two huge saves as the Stars opted to pull their goaltender. You must be able to rebound quickly from mistakes and not allow mistakes to turn into doubt. Let go of the last play and focus in the present. Work hard to sharpen your skills in practice and be committed to find ways to improve each day. Look and act confident. Your body language sends a message to your opponents as well as yourself. Show your opponents you are ready for any challenge. Be a poised hockey player by being responsible for your level of confidence and working on your mental game. Successful hockey players have learned how to perform with superior confidence on the ice. 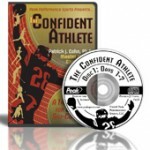 We’ve created The Confident Athlete, Workbook and CD program to help you do this.